In 1995 the Alabama Legislature chartered the Citizenship Trust, a public educational organization whose mission is to enhance and expand citizenship education for Alabama citizens. 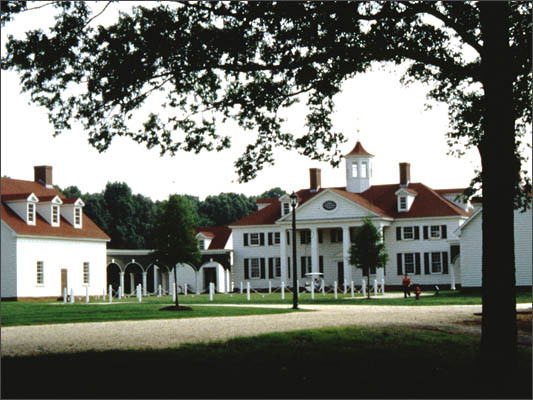 Central to the Trust’s educational mission is the creation of The American Village, an interactive site where students learn about citizenship through participation in a unique classroom setting. The Landscape Architect was hired in 1996 to provide an overall master plan and landscape design services. The master plan combines physical and social forms evocative of the American experience. Exhibits, buildings, and spaces are grouped in three themed districts on the 115-acre site, related and defined by their physical setting. Using the relationship between structures and physical space in a village green, courthouse square, farmstead, and small-town main street the master plan reinforces concepts of community, citizenship, and active participation in a democratic society.